A passionate and dedicated performance is hardly what you would have expected from the Premierships bottom club Burnley but that’s exactly what they gave on Saturday against Hull. Despite knowing that the chances of them staying in the division were slim to none (they needed to win all three of their remaining games and have other results go their way), the Burnley players marched onto the field with their heads held high and duly walked away with a well deserved three points thanks to Danny Ings 11th goal of the season. It’s been a season of justs for Burnley – just unable to hold on for that draw against Crystal Palace in mid January, just unable to find the net against Leicester a few weeks ago etc. One thing they haven’t lacked is effort, competing for every ball from the first minute to the last, giving 100% to every match. Relegation back to the Championship is a harsh punishment for Sean Dyche’s men who have won over a lot of the skeptics with their brave approach this season. The same however cannot be said for Queens Park Rangers who too have been relegated after a miserable season. 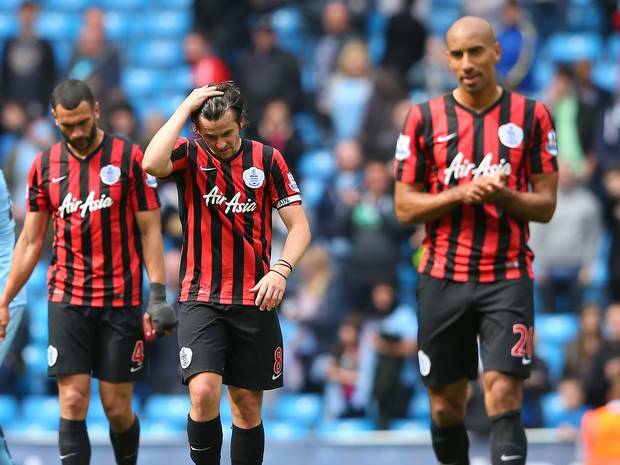 Sunday’s 6-0 mauling at the hands of Manchester City sealed their fate but in truth QPR were relegated before a ball was even kicked. As the two sides lined up in the tunnel ahead of kick off, few gave QPR a chance at getting all three points. But if the side came out and gave a spirited performance, a point may be possible which would have gone a long way to appeasing their fans. Unfortunately the body language of the QPR players was all too evident. Defeat and relegation were to them inevitable so why try? Not exactly the response you want from your players going into a crunch match. Within four minutes, Sergio Aguero had fired City into a 1-0 lead. Already the heads had dropped; a drubbing was on the way. 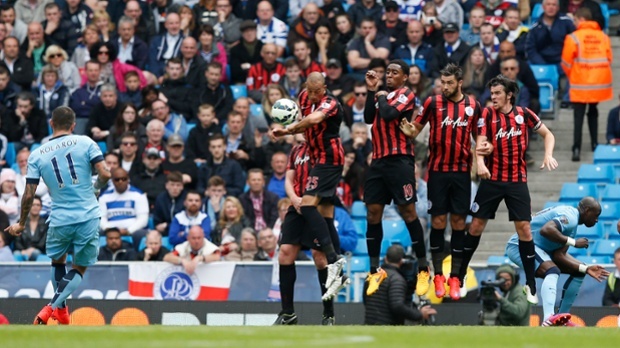 When Kolarov stepped up to hit a 32nd minute free kick, QPR were in disarray. Robert Green tried his hardest to organize a wall but no one appeared to know who was meant to be in the wall or where they were supposed to stand. The work that was surely done on the training pitch had been forgotten in yet another example of how badly organized QPR are. The blame however should not lie at the feet of manager Chris Ramsey, instead it should rest solely at the feet of his players – unable to follow simple marching orders or fall into some resemblance of structure. Woeful defending let Aguero race through and add a third just after the break but by then the QPR players were already contemplating next season. No doubt some were planning their moves away from the club but they failed to understand that any potential clubs would be watching how they performed in this game. The lack of desire and effort by the QPR players would hardly compel clubs to reach for their cheque books. QPR’s owner Tony Fernandes needs to drastically overhaul his team starting by appointing a full time manager. Chris Ramsey has done a good job in what can only be described as horrific circumstances – a misshaped squad, lacking in self belief and conviction, all picking up astronomical wages that demand better performances and more effort. Handing him the reins full time and giving him the ability to rebuild the team in his vision may result in a rebound for QPR. But in truth they shouldn’t be in this position to start with. QPR should not have gone back down given their financial resources and squad but unfortunately they failed to learn from their past mistakes. The signings brought in to the club were mostly aging pros, enticed by those high wages but all have failed to add any class to an already starved team. Captain Joey Barton talked openly after the game as he does about one of two bad eggs in the squad that were upsetting the balance of the team as a whole. Although he fell short of naming them, the fact that these bad eggs were allowed to cause problems highlights further issues at the club. In the past, QPR has been found guilty of throwing money at a problem but never really fixing it. Booting out these bad eggs mid season could have been all it took to save QPR from relegation but instead the club decided against doing that. Will Chris Ramsey be in charge next year? This summer will give them that opportunity with the entire squad needing a desperate revamp. The club has 9 players out of contract including Barton, Richard Dunne, Rio Ferdinand and Bobby Zamora all of which will be assessed carefully by Director of Football Les Ferdinand and the manager (whoever that should be) with a view to handing only a few of them a new deal. The four loan players at the club (Isla, Vargas, Zarate and Kranjcar) will all return to their clubs whilst key assets like Charlie Austin, Matt Phillips and Steven Caulker will all be sold. The remaining squad will see their wages sliced by at least half as the club looks to trim the fat that is strangling the club. 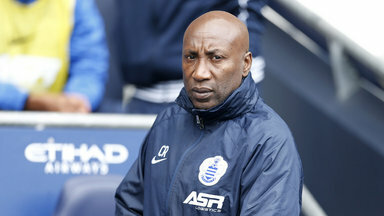 QPR will look dramatically different next season as they prepare to mount a challenge for one of the promotion places. There are worse ideas than turning to the clubs youth players for new additions to the squad, adopting the Southampton approach that has benefited them so well over the past five years. Whatever QPR are to do, the most important thing that they need is a plan – they need to sit down, learn from their mistakes and built a robust plan not for the next season but for the next five to ten seasons. Sticking to that plan however may be their biggest challenge.